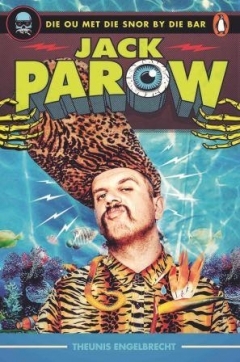 JB Roux from LitNet interviewed Johan Vlok Louw about his book, Eric the Brave. It’s the anticipation, the sense that something dreadful is about to happen, must happen, that keeps readers turning the pages of Eric the Brave, shocked, almost, by the accuracy with which the writer recalls life “on the border”. He “paints” realistically, with short, accurate strokes of the brush. The picture that emerges is dominated by shades of brown. Army brown. 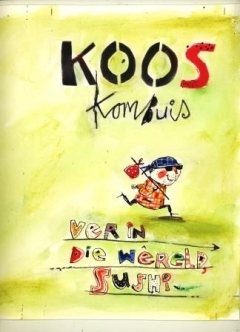 Random House Struik has released an extract from Johan Vlok Louw’s debut novel, Eric the Brave. Set on the border between between Namibia and Angola in 1993, Eric the Brave examines the horrors and unreality of the Border War. Benjamin Darrell Woods is sun-tanning on his back in his underpants reading Wilbur Smith from behind sunglasses in the Angolan bush war. He’s turned slightly now to look up at Eric looking down at him from the tower. Join John Liebenberg and Patricia Hayes for the launch of their Bush of Ghosts: Photographs of Life and War in Namibia 1986-90 at the South African National Museum of Military History. Emotional pictures – and doubtless a very emotional event. We look forward to welcoming you. In the winter of 2006, English-born Chris Harvie and his travelling companions commenced a 28 000 km road trip around Africa which would become the subject of the travelogue, Do NOT Take this Road to El-Karama. The travellers meandered through Botswana, Zambia, Uganda, Tanzania, Kenya, Zanzibar, Malawi and Namibia. Upon his return, Harvie bought and restored a historical house in Graaff-Reinet, where he wrote this book. Besides fulfilling his duties as hotelier, Harvie writes on food and travel on a freelance basis for the Sunday Times. Tired of the African tales of misery with which we find ourselves bombarded every day, new author Chris Harvie sets out to find the good news on an epic 28 000-kilometre journey between his home outside the Kruger National Park and the Nile River in Uganda, traversing eight African countries: Botswana, Zambia, Uganda, Tanzania, Kenya, Zanzibar, Malawi and Namibia. 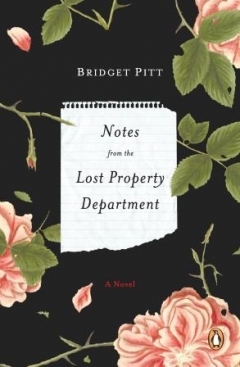 The result is the delightfully entertaining travelogue, Do NOT Take this Road to El-Karama. At the Johannesburg launch of Sihle Khumalo’s Dark Continent, My Black Arse the author shared the delights of the travels he embarked upon to celebrate his 30th birthday: he took himself on a three-month Cape-to-Cairo jaunt. “It had always been a dream to experience Africa for myself,” said Khumalo. 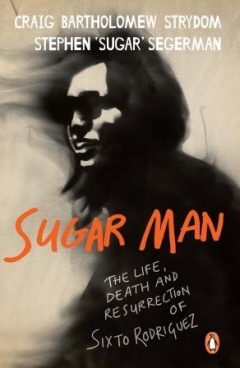 “It had also always been a dream to write a book.” He left his fiancée and their 18-month-old child behind and ventured on the fabled and fabulous route, travelling as a backpacker, by public transport only, spending upwards of $50 per day. Most of his trip was, indeed, fabulous. 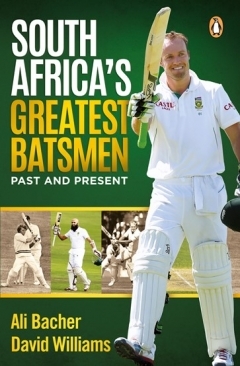 In particular the first half, leading up to Nairobi, where Khumalo experienced quad-biking on ancient Namibian dunes and the thrill of microliting over the Victoria Falls, and encountered the soul-searching that results after visits to historical sites where, for instance, slaves were whipped and traded. As Managing Director of Random House South Africa, it gives me great pleasure to announce our association with a work of monumental achievement; I’m honoured to be the first to reveal that renowned South African historian and University of Pretoria professor, Charles van Onselen, has unmasked the world’s most notorious serial killer, London’s Jack the Ripper – after more than a hundred years of speculation about the murders. 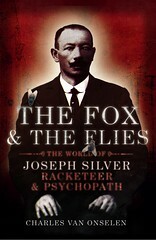 In his book The Fox & the Flies – the World of Joseph Silver, Racketeer and Psychopath, published today, van Onselen produces compelling evidence that points to the killer being a man who went by the name Joseph Silver – a trader in “white slavery” who fled from Poland during the anti-Jewish pogroms of the late 19th century. Silver spent years running brothels in London, Cape Town and Johannesburg, and was part of a white slave network that spanned the Atlantic World. Van Onselen, who devoted almost three decades to tracking Silver’s life, formed an early suspicion that he might have been responsible for the gruesome murders of at least five women – possibly more – in London’s East End in 1888. But it was only towards the end of his research that he made the connections which established Silver as Jack the Ripper – connections that are revealed in his book’s explosive 25th chapter. It all began when van Onselen was trawling through an 1898 edition of the Standard & Digger News in the Johannesburg public library, and happened upon the name “Joseph Silver”. This man was the leader of Johannesburg’s “American Club”, a syndicate of Russo-Polish Jews from New York which apparently controlled the police and organised vice in the city. But it was only two decades later that van Onselen tracked Silver to a brothel in London’s Whitechapel, where some of the Ripper murders occurred. It is presumed that Silver, although clearly psychotic, also had an economic motive for killing the women – all of them prostitutes. For a brothel-keeper, the murders were an effective means of controlling his workers. The brutality and viciousness of the executions were a warning to “streetwalkers” who chose to operate independently in the East End. Silver stayed in southern Africa from 1898 to 1905, and also kept brothels in Bloemfontein and Kimberley. During the Anglo-Boer War, he was involved in a string of robberies – targeting Jewish-owned jewelley stores – while at the same time acting as a police informer. He left the country for South West Africa (now Namibia), where he spent three years in jail for procuring prostitutes for German troops; and was involved in gun-running there during the Herero Rebellion. Silver’s criminal empire relied on inexpensive ocean travel, made possible by the steamship companies of the day – a situation comparable to current low-cost air travel, which some researchers have blamed for increases in latter-day human trafficking. (At one stage toward the close of the 19th century, a person could cross the Atlantic by steamship – England to the USA – for just $8.) His life and exploits make for a fascinating, if chilling, historical and psychological profile, which van Onselen renders in gripping style. We anticipate that the revelations contained in The Fox & the Flies will attract an enormous amount of international attention. It is a work of scholarship and biography of the highest order, and we at Random House congratulate Professor van Onselen on his achievement.